The history of St David’s Home, originally known as Castle Hill Lodge, can be traced back as far as 1819 when the Duke of Kent – Queen Victoria’s father – attempted, albeit unsuccessfully, to sell his country house near the village of Ealing. Situated at Castlebar Hill, formerly known as Castle Bear Hill, the long house, with a four-columned central portico, commanded a fine view over pastures and woods towards the distant outline of Harrow. Approximately 100 years later in 1914, the son of Lady Anne Kerr (Daughter of the Duke of Norfolk) was killed at aged 21, whilst serving with the Royal Scots. 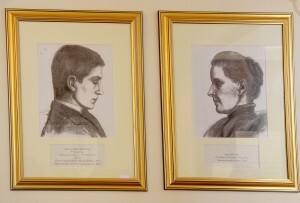 Following the loss of her son David, Lady Anne Kerr felt compelled to help alleviate the suffering of those who, although having survived the war, were returning home wounded and maimed. As a result, Lady Anne pursued an active campaign to raise the funds to provide a place of respite and care for the war wounded. Ultimately in 1918, sufficient monies had been raised to purchase a property and thus it was that Castle Hill Lodge, which by this time was known as Kent House, was purchased and St. David’s Home was borne. with the Board of Trustees took over the running of the Home. Many changes took place over the course of the next 80 years until finally in 2002, the Order decided to close the convent and the last of the remaining sisters left to minister elsewhere. 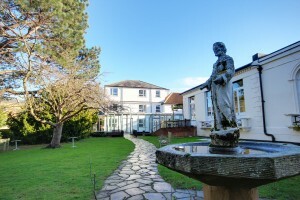 The operation of the Home was then fully handed over to the Board of Trustees, who alongside the Home’s management team, continue to run the Home today. 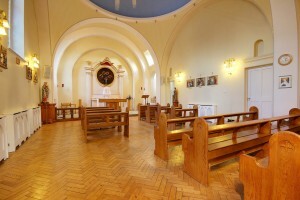 St David’s has undergone many alterations over its long history but the dedication and care provided remains unchanged.